Experience the unexpected with award winning magician, Greg Solomon. Make your next party or event unforgettable with the one-of-a-kind magic by Greg. As an experienced restaurant magician, stage performer and kid's show magician, Greg can create the right magic for your specific needs and wants. 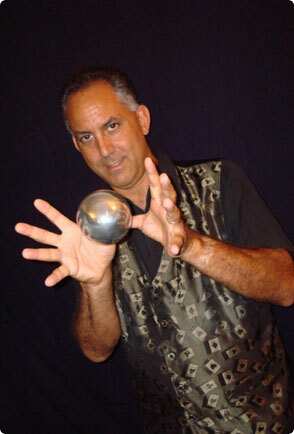 Performing Magic in Ocala, Gainesville, Orlando, Central and North Central Florida for 20 years! 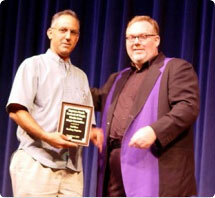 2007 Strolling Magician Award, Florida State Magic Convention, Daytona, Florida. This is Greg accepting the award from the legendary Kevin James! We're featured Riverview web designers in Florida web design section of web designers directory.